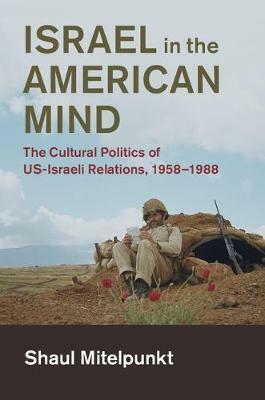 This book examines the changing meanings Americans and Israelis invested in the relationship between their countries from the late 1950s to the 1980s. Bringing to light previously unexamined sources, this study is the first to investigate the intricate mechanisms that defined and redefined Israel's place in American imagination through the war-strewn 1960s and 1970s. Departing from traditional diplomatic histories that focus on the political elites alone, Shaul Mitelpunkt places the relationship deep in the cultural, social, intellectual, and ideological landscapes of both societies. Examining Israeli propaganda operations in America, Mitelpunkt also pays close attention to the way Israelis manipulated and responded to American perceptions of their country, and reveals the reservations some expressed towards their country's relationship with the United States. By contextualizing the relationship within the changing domestic concerns in both countries, this book provides a truly transnational history of US-Israeli relations.